Pre-Registration is closed. 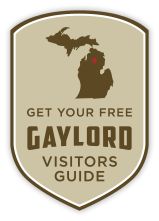 You may register at the Tourism Bureau office at 319 West Main Street on Friday, February 22 from 5:00 – 7:00 p.m. or Saturday, February 23 from 8:00 – 11:00 a.m. This year’s Michigan Snowmobile Festival is all about riding! Join us for Michigan’s Richest Snowmobile Fun Run on February 23, 2019. There is no cost to register. Maps with stops highlighted will be given out at registration, along with 5 pre-printed slips with your name on them to turn in at each stop. 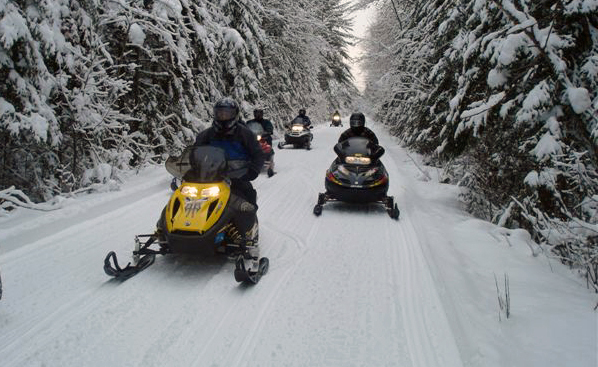 Snowmobilers do not have to start at the same time, follow the same route, or make it to every stop. Please note, most stops do not open until 11:00 a.m. A guided ride will start at 10:30 a.m. from the Tourism Bureau office. Participants will be entered in a certificate drawing for the stops they go to and all slips will go in for our cash drawings. You have a better chance of winning the cash drawings if you visit each stop! All slips will be picked up at 5:00 p.m. sharp, so have your entries in before then. 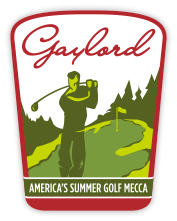 There will be five stops: Beaver Creek Resort, Treetops Resort, Porter Haus, The Keg Bar and Paul’s Pub. Beginning at 4:00 p.m., everyone is invited to the Eagles Hall at 515 South Wisconsin Ave. for live music, beverages and snacks. At 6:00 pm, we will draw names for gift certificates provided by each stop. At 8:00 pm, we will put all names back in for our cash drawings. You must be present to win and 18 or older for all drawings. The grand prize will be $1,000 cash! Stay for the music and fun until 10:00 p.m. Have fun and be safe! 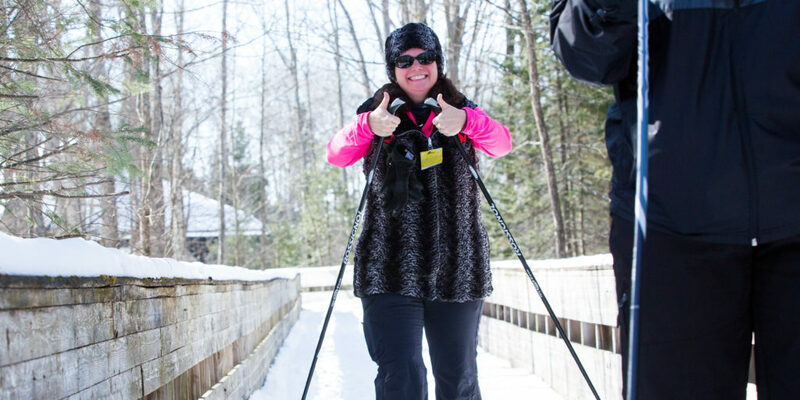 The 8th Annual Alpenfrost Festival celebrates the heart of the winter season in Gaylord, combining events such as the Craft Beer and Wine Festival at Treetops Resort with a flurry of activities including a pageant, frosty 5K, games and vendors. Worthy of a vintage Norman Rockwell painting, the Alpine Village will unveil a sledding hill on the Courthouse lawn during Alpenfrost! For more information, visit the Alpenfrost website. The Wilderness Sleigh Ride Dinner is a magical winter adventure. 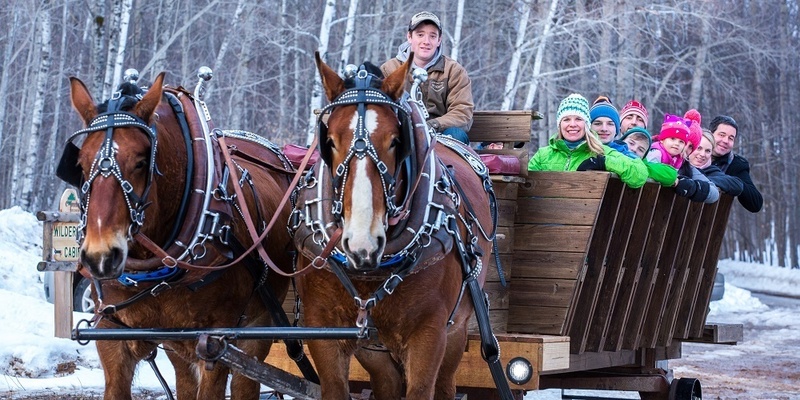 After a 25-minute horse-drawn sleigh ride through the magnificent, snow-covered forest, guests will be treated to a four-course meal complete with assorted beer and wine. This event sells out quickly, so make your reservation today! What could possibly be better than cross country skiing through beautiful trails in northern Michigan? How about gourmet food & drink stations along the way? This Gourmet Winter Adventure takes you on a 6 km (3.8 miles) cross-country ski excursion. You can take this trek at your own pace along with your friends and family, while enjoying five gourmet food and beverage stations along the way! Sidebar: This is very enjoyable for all levels of cross-country skiers and snowshoeing ability. Beginners welcome!